If you’re like us, you probably spend a lot of time looking for feedback from other users about the apps you use, particularly if you want reviews or solutions to certain problems. AppChat aims to facilitate this process by offering independent chat rooms for each of the apps you have installed on your device. Besides participating in them, you can follow different rooms and receive notifications when there are new posts on your favorite channels. The way the app works couldn’t be simpler. 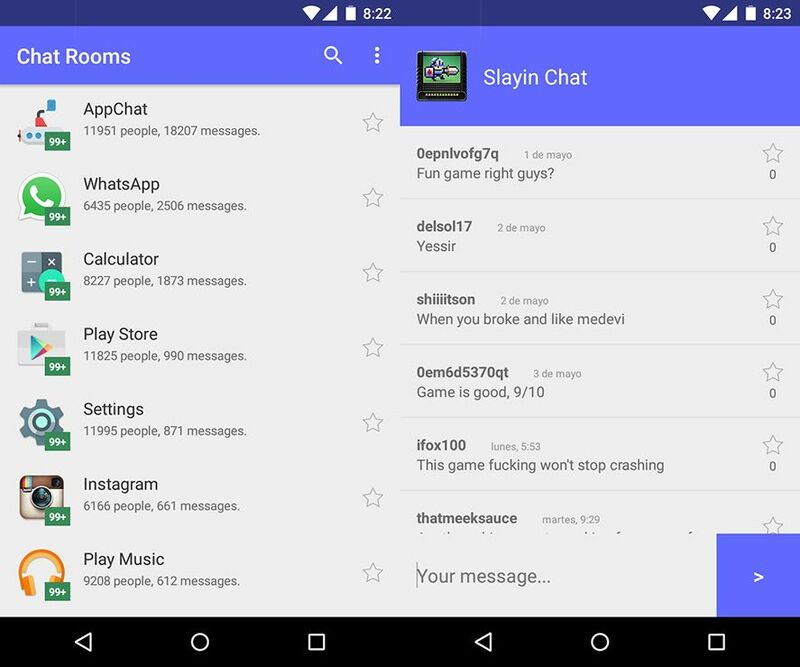 When you install and register it will detect all the apps installed on your device and show you a list of all the chat channels for each of them alongside your unread messages. You can go in, read all the interactions, and tick comments or rooms as your favorites to receive notifications for them. Obviously, all the comments are from other AppChat users. This is still in alpha phase, but some useful extra features are already being included. If you take a screenshot of an app, you’ll get an auto popup asking if you want to post it in the associated chat room. In addition, you can quickly access the room by swiping horizontally in the lower right corner of the screen when you’re inside an app.